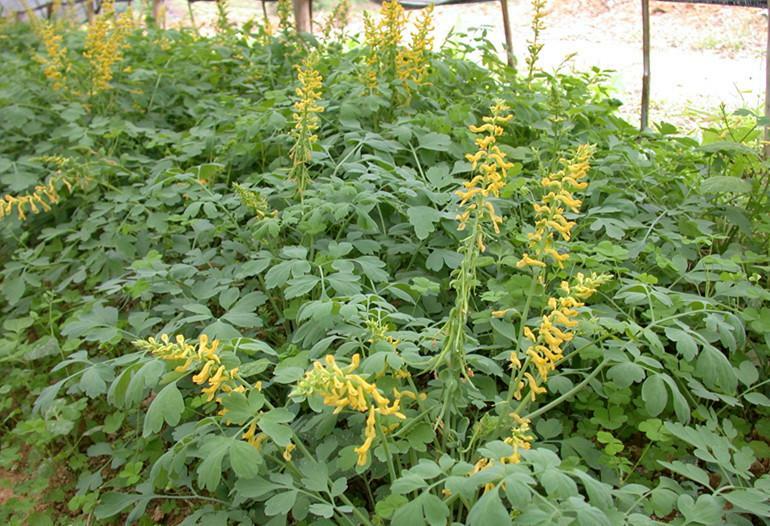 The drug is the dried or fresh whole herb of Corydalis tomentella Franch. (Family Papaweraceae), growing on cliff or in crevice, and distributed in Shaanxi, Hubei, Guizhou and Sichuan of China. Whole herb is used as antioncotic, analgesic, blood purifing agent and hemostatic, for the treatment of traumatic injury, pain by swelling and ecchymoma, bleeding due to blood heat, diarrhea and dysentery due to damp-heat, stomachache, cough caused by lung-heat, chronic bronchitis, hemoptysis and hematemesis caused by tiredness, swelling and pain of eyes, sore throat. Decoct 3~9 g, or soaked in water for drinking, or made into powder for oral taking.